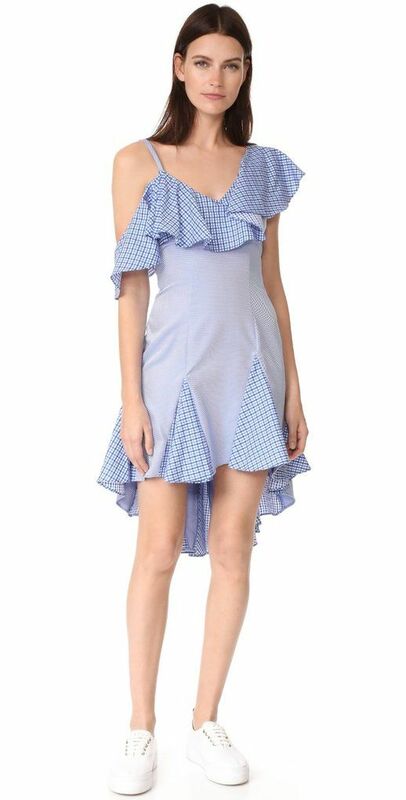 This dress speaks to everything our inner girly side yearns for during the summer; ruffles, a cold shoulder, and flouncy trims. It oozes femininity and elegance and is easily cool. Pair this major piece with flats or white sneakers and let the dress do the rest of the talking. What more could we ask for?